When it comes to eyebrows, thin is no longer in. However, factors such as over-tweezing, hypothyroidism or simply genetics can result in barely-there brows that just won’t grow. 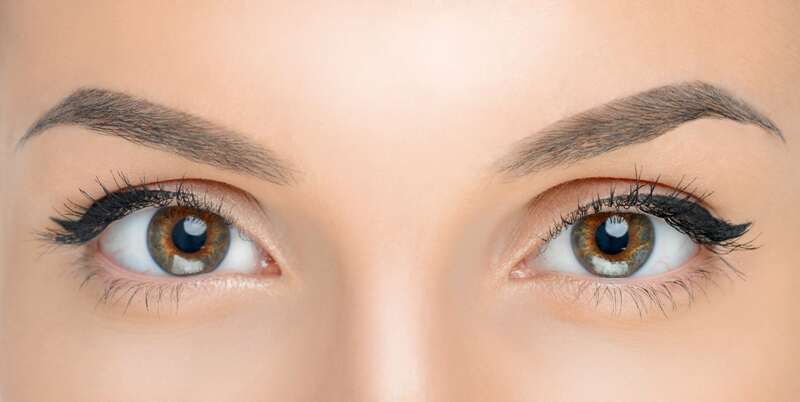 Eyebrow microblading, a semi-permanent tattooing technique in which a trained professional uses a special pen to create the appearance of individual hairs, has become a popular solution to this problem. The result is full, shaped, natural-looking brows, such as those in this before and after image, shared on Instagram by Trish Dinh, a Florida microblading technician. Microblading can transform sparse eyebrows without making them look as though they were drawn on with a Sharpie — but the process is not without some risk. As with any procedure using a blade or a needle, the process can lead to infection and adverse reactions, as well. Since the procedure is still relatively new and has only recently become a trend, determining the risk of side effects is tricky. However, some accounts of severe reactions to microblading have popped up around the internet. claimed she ended up in the hospital after a microblading procedure. She required IV antibiotics to treat the infection near her eyes. In 2017, an Australian mom named Amanda Coats posted pictures of her unpleasant experience. She claimed to have a rushed and unprofessional session, after which she allegedly ended up with a severe infection, with her skin peeling off and her eyes puffing up. After Coats’ Facebook photos went viral and multiple news stations and magazines published her story, the clinic where she underwent the procedure filed a lawsuit against her, claiming they lost a great deal of business. Here’s more information about the incident, in a video shared by “The Doctors” on YouTube. 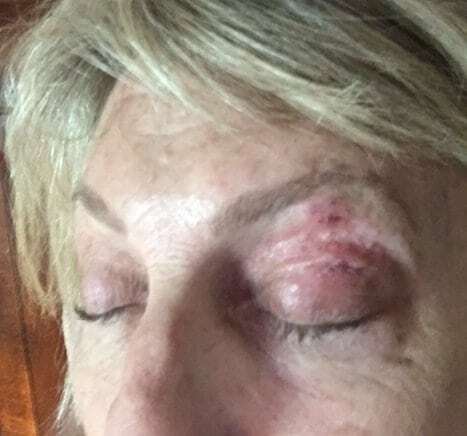 Another woman, with the user name Shelly R., posted a Yelp review with photos of an infection she experienced following a microblading session at a California facility. She claims that her infection lasted four weeks, clearing up only after she received medical treatment. These stories of infection are frightening. But are they the norm or the exception? However, microblading does pierce the skin, which increases the risk of infection. And since it’s performed close to the eyes, infection can come with serious complications. 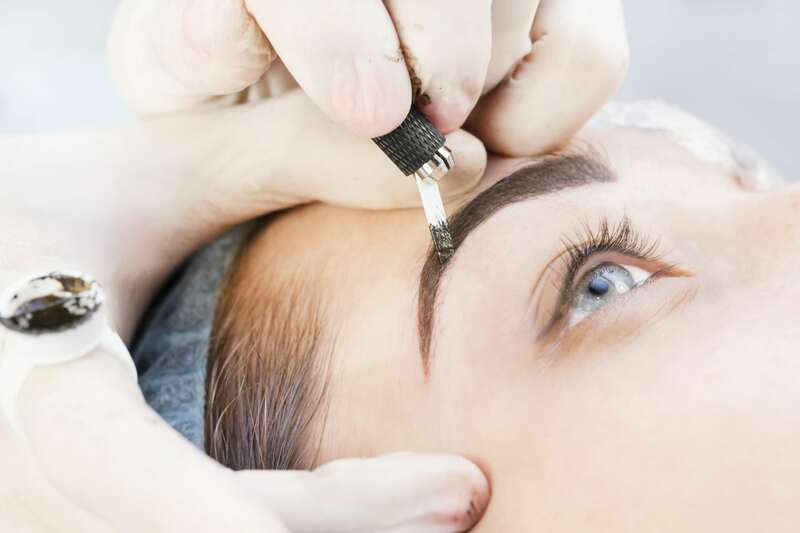 Dr. Anthony Rossi, a cosmetic dermatologic surgeon at Memorial Sloan Kettering Cancer Center in New York, told BuzzFeed that microblading may be risky because the industry is not regulated. If you are considering having your brows microbladed, taking steps to avoid a bad experience can help you have a positive outcome. Before you even schedule an appointment, do your research. Check with your health department to see what regulations are in place in your state. You can also check with the Society of Permanent Cosmetic Professionals, which can refer you to a technician. Seek an artist trained by a reputable institution. He or she should offer an initial consultation, during which you can ask questions and assess the cleanliness of the salon. A good technician will ask you some general health questions and discuss the type of brows you want. For the next 10 to 14 days, avoid getting the area wet. This includes getting your face wet in the shower, swimming, saunas and excessive sweat. Avoid putting any makeup on the area for at least one week. No scratching, picking, peeling or otherwise touching the area until the skin has healed. Keep hair from rubbing and irritating the brow line. Be sure to apply any ointment or lotion provided or recommended by your technician. Swelling and redness lasting longer than two or three days may signal an infection. Other symptoms may include discharge, a foul odor, tenderness, swelling beyond the brow area and fever. Seek medical attention promptly if you experience any of these symptoms. If microblading is not for you but you still want shapely, lush brows, you have a few other options. 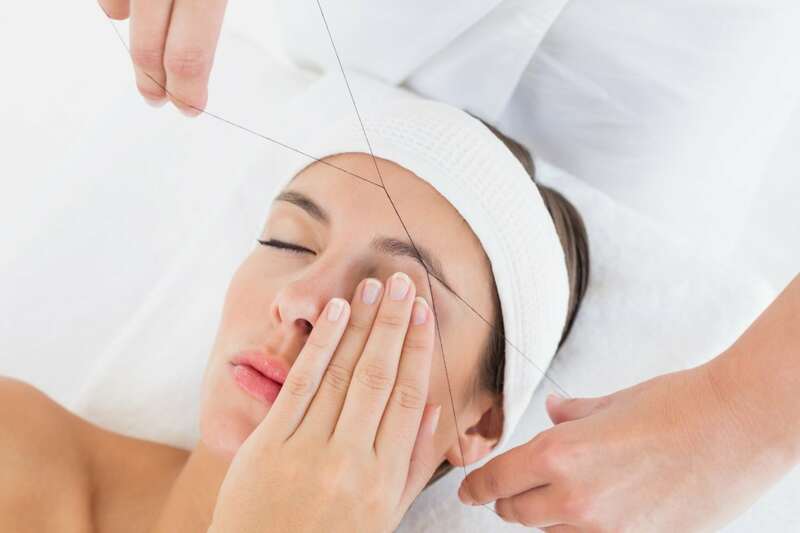 Threading and tinting are two common alternatives.